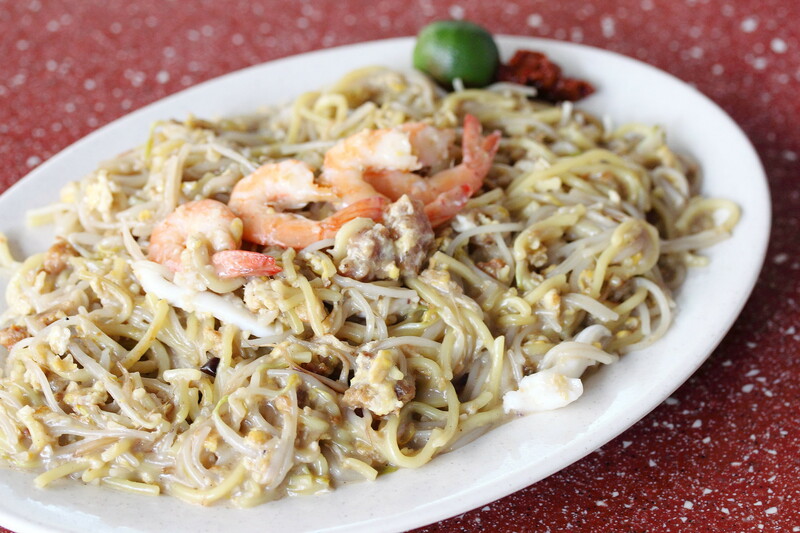 When we mentioned about Singapore street food or hawker food, one of the favourite local's hawker dishes is the Fried Hokkien Prawn Mee. 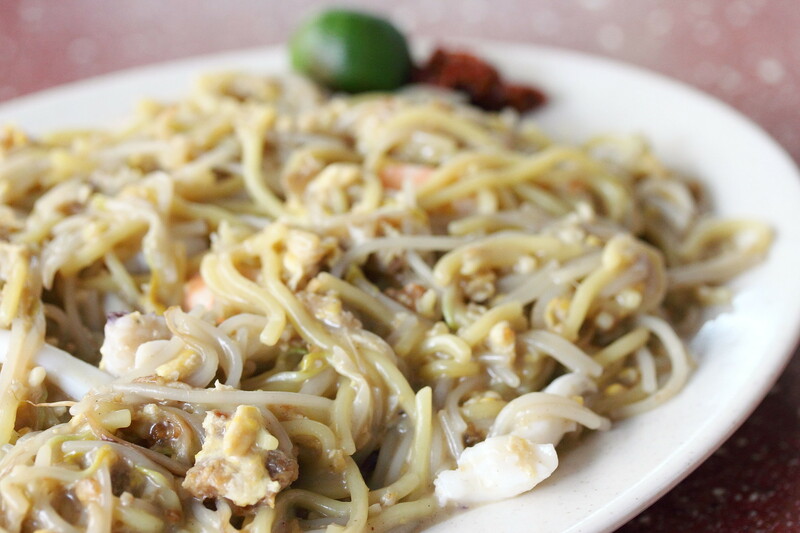 It is quite obvious as we can find this dish in almost every food courts and hawker centres. Even so that everyone has its own favourite stall or best fried hokkien mee list. Today I am at Toa Payoh Lorong 1 to check out this popular fried hokkien prawn mee stall called Come Daily Fried Hokkien Prawn Mee (天天来炒福建虾面). 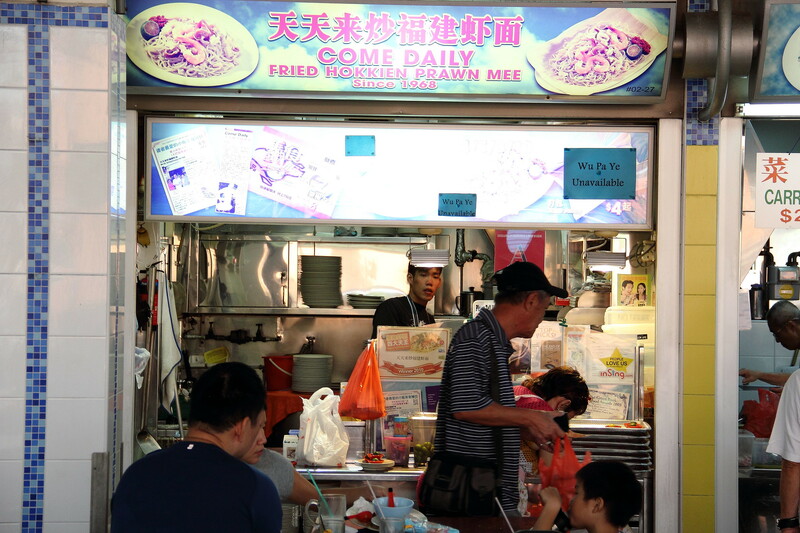 When I visited the stall on a weekend morning, I noticed a young man behind the wok frying the fried hokkien prawn mee. I could not remember the price of the portion I ordered but it did look very appetizing when it was transferred from his wok to the servicing plate. I could already smelled the aroma from the pork lard from a distance. 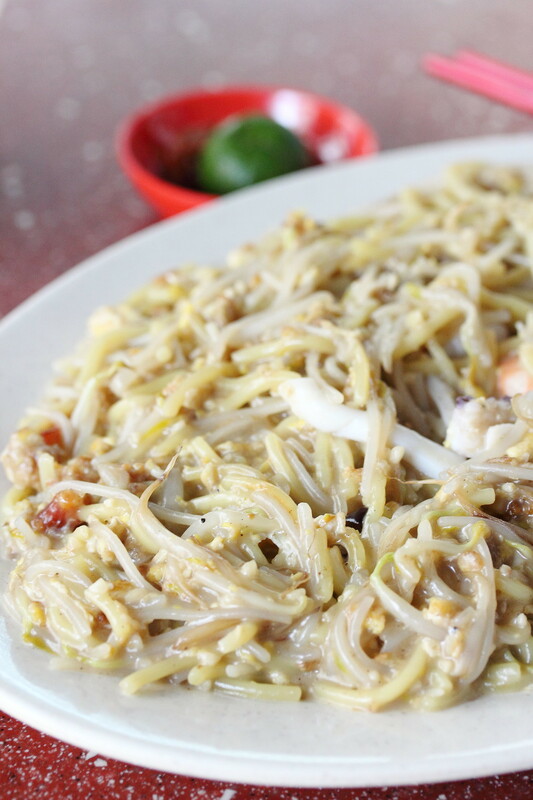 The fried hokkien prawn me here is the moist or gooey type which I like. The delicious stock is well infused into the noodles giving it a very rich and sweet flavour. I personally felt the stock was on the sweet side but from its popularity, it seems like it is well received by many. I would prefer something that is more garlicky. The spicy sambal also comes with a kick that goes well with the slurping good noodles. Overall I felt that Come Daily Fried Hokkien Prawn Mee (天天来炒福建虾面) gets my thumb up for a delicious plate fried hokkien prawn mee. It will easily made it into my top 10 fried hokkien mee in Singapore.